As the hot days of summer are now a thing of the past, we’ve decided to bring back the “Live @ the Office” concert series here at the Sandpoint Reader. If you’re not familiar with the concept, it’s simple; once a month we host a local musician or band up to our humble offices in the historic Farmin Building, invite the public, and record the performance. It has all the intimacy of a house concert, but in a downtown office setting. It’s a surefire way to hear your favorite local artists in a crystal clear setting, with fun interaction thrown into the mix. Jesse Gunn with Pinky Haus Studios takes care of all the sound and recording. After each performance, Gunn mixes the recording into an album, which we sell at future “Live @ the Office” shows. Also, KRFY 88.5 FM gets in on the action as a co-sponsor by taking the recordings and featuring them on the air at various local music shows. Last season, we saw some great performances come through our office. Vance Bergeson, Cedar & Boyer, Josh Hedlund, Justin Lantrip, Honeysuckle featuring Holly McGarry, traveling folk singer John Craigie and Montana-based jazz trio Fresh Off the Vine. After the John Craigie show during the crazy June heat wave, we decided to take a summer break. A small room on the second floor of an old building during a heat wave is not the most ideal place to cram thirty people together in the name of live music. As I stated above, however, the temperatures are more conducive to a comfortable atmosphere to listen to your favorite local performers. We’re pleased to announce the return of the “Live @ the Office” concerts on Thursday, Sept. 24 at 6 p.m. Josh Hedlund will be the featured artist. Josh Hedlund at the “Live @ the Office” concert last spring. Photo by Ben Olson. 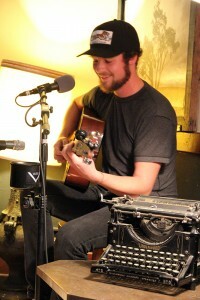 Hedlund’s songwriting ability has earned him a loyal fan base in Sandpoint over the past decade. At times poignant and beautiful, at other times raw and emotional, Hedlund has a way with words and a honey-smooth voice capable of winning over the blackest of hearts. Throughout his prolific career, Hedlund has penned over 500 original songs, each one dealing with his view of the world and the players in it. He wrestles with themes like religion, blighted love and loss of innocence, while switching gears to cover small town drunkenness and depravity. 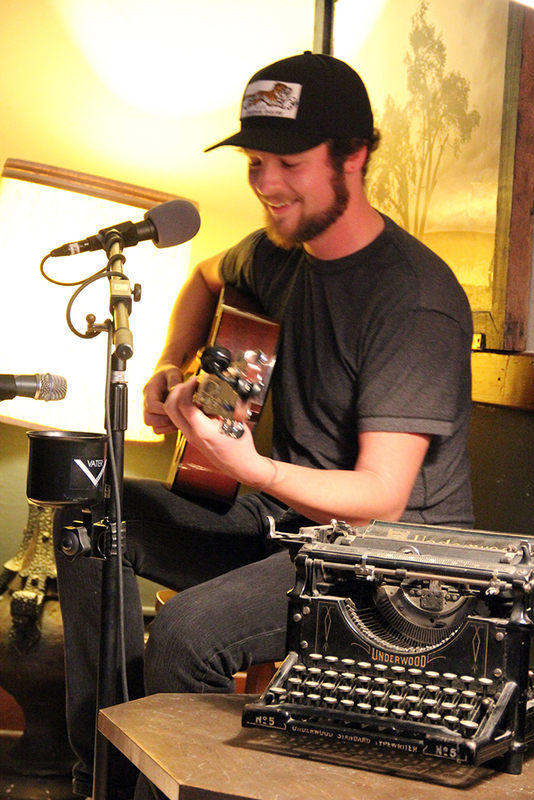 Hedlund’s live album recorded in March in the Reader office will be for sale at the show for $5 each. I can’t stress enough the beauty of this collection of songs. If you haven’t heard it, please check it out as it’s worth ten times what you’d pay for it. “Live @ the Office” shows are $5 each, first come first serve. We have seating for about thirty people in the office, so seats fill up quickly. If you’d like to ensure your seat, they go on sale at the Reader office starting Monday morning. We are open for all ages, with kids welcome to any of the shows as long as they can listen politely and not disturb the recording. Also, we ask that everyone attending please to turn their mobile phones onto “airplane” mode so that the recording does not get disrupted. Are you interested in playing at the “Live @ the Office” concert series? Give me a shout at [email protected] and please include a link to your music. As we are a small space above a restaurant, we don’t feature any drums or super loud amplified music.